45mm, titanium case, with 18K rose gold bezel and rose gold elements. It features a date indicator, and their 42hr power reserve indicator. 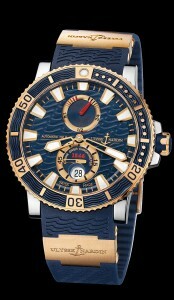 The blue dial is etched with blue waves, and rose gold hour markers. 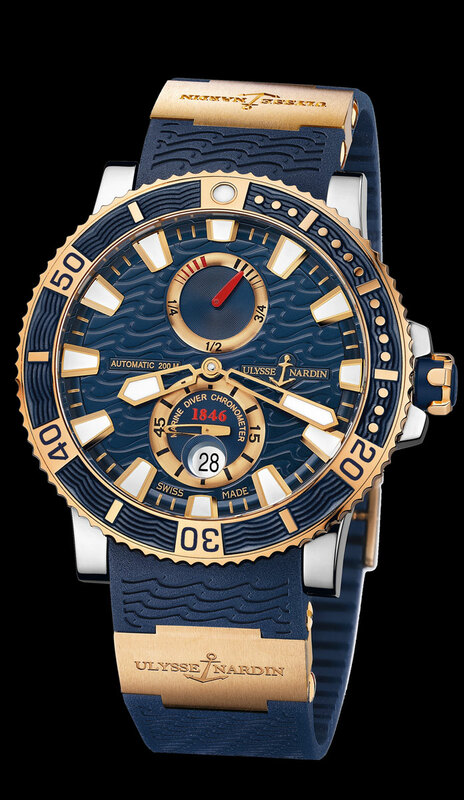 The exhibition glass back reveals the rotor etched with the Ulysse Nardin name and anchor logo. It is available on sporty blue rubber strap, with rose gold folding buckle.